I found myself right back where I started in Independence, Missouri. What does home mean to you? Family? Stability? Security? Memories? From our homes we form our views of the world. We develop our values and beliefs. And while we may stray, we often return just for the simple fact that home reminds us of who we are and where we came from. For these reasons and more, Harry S Truman, our 33rd president, chose to return to his home, Independence, after serving nearly eight years in the country's highest office. 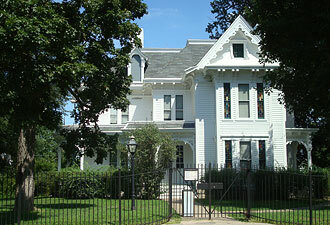 Harry S Truman National Historic Site, located just 10 miles east of Kansas City, offers opportunities to experience the surroundings Harry S Truman knew from age six through his retirement and death at age 88. Begin your visit at the visitor center. While there you can purchase tickets for a ranger-led tour of the Truman Home, watch an introductory film about the Trumans' life in Independence, and see some of the Truman's most beloved personal belongings. 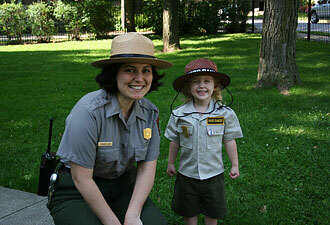 Kids ages 5-12 can also pick up a free Junior Ranger activity book. The book contains fun activities that focus on the virtues Harry learned while growing up in Independence. Once the book is completed, kids are awarded a Junior Ranger certificate and badge. Be sure to set aside some time to walk in Truman's footsteps as you explore the community that shaped his character and influenced his presidency. Nearly all of the buildings that were significant during his life are still standing. 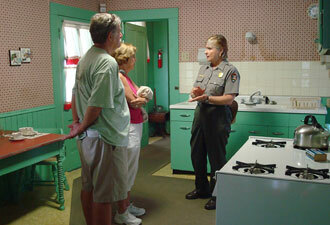 The National Park Service offers two cell phone tours of the neighborhood to help guide you on your way. Free cell phone tour maps are available at the visitor center. Visit the park's website for a full list of activities. For more information about things to do in town, visit the City of Independence.